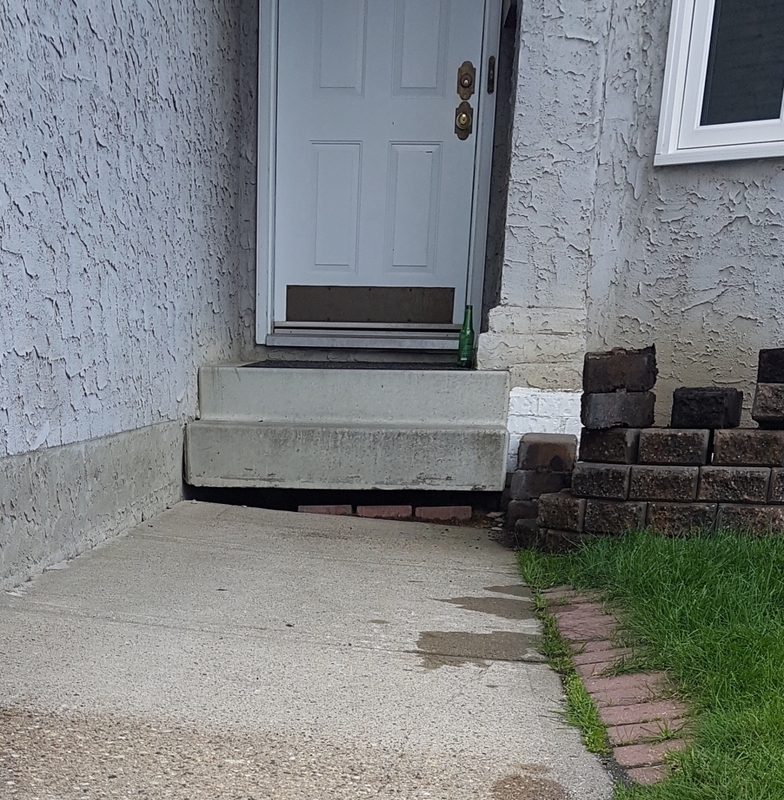 Client's walkway had settled up to 6" from his front steps creating a dangerous trip hazard and liability concern. 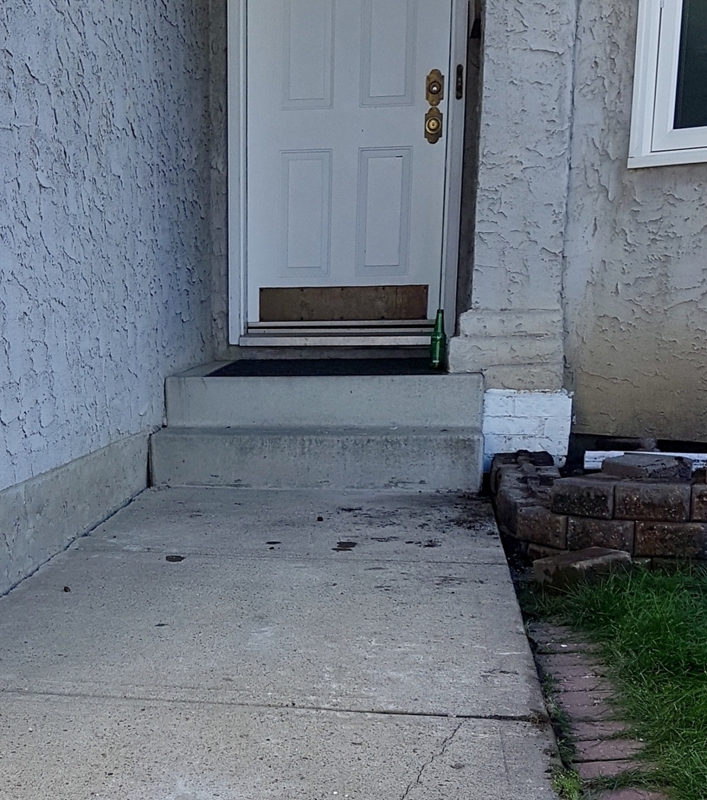 Using our polyurethane foam technology we drilled a series of 5/8" holes into his walkway, injected material under the slab filling voids and lifting their walkway right up to the bottom of the front step. Not only has the trip hazard been solved but the curb appeal of the front entrance has been greatly improved!